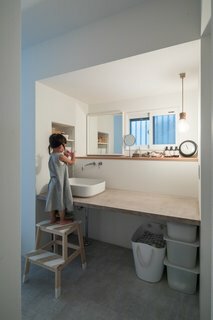 Additional windows and open shelving help Suita House in Osaka feel airy and modern. 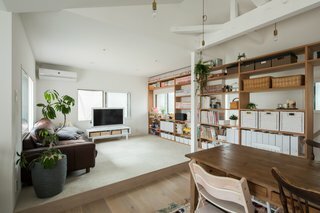 The two-level, wooden Suita House in Osaka, Japan, was built sometime before 1981, in accordance with now outdated earthquake resistance standards. 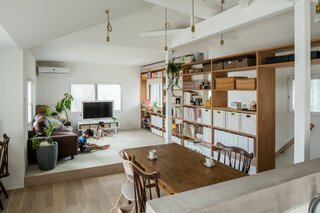 Since its owners—a couple with two young children—needed to upgrade to meet the current regulations, they decided to give the property an interior overhaul and transform it into a brighter, better-ventilated home that’s more suitable for modern living. 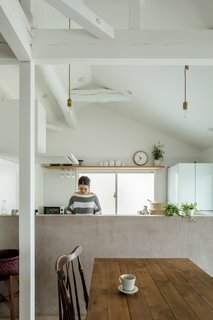 Osaka has a high earthquake risk, so Koka City–based architecture and design studio Alts Design Office performed structural renovations and repairs to ensure the house would hold up well if tremors impact its foundations in the future. 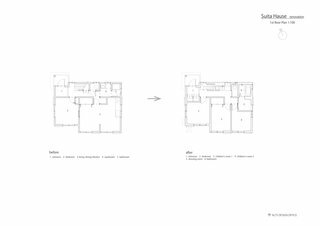 They then worked to bring in more light, and to modernize the floor plan. 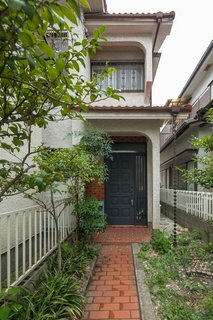 The house sits on a 1,206-square-foot, flag-shaped plot in a residential neighborhood where homes are built very close to each other. 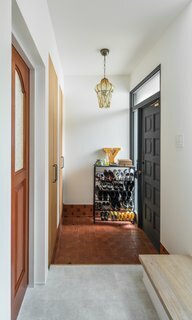 Some of the original 1980s tiles and joinery were retained to give the updated house a hint of retro flavor. 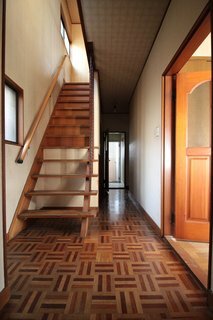 Before: the entrance foyer and stairs. After: the entrance foyer and stairs. 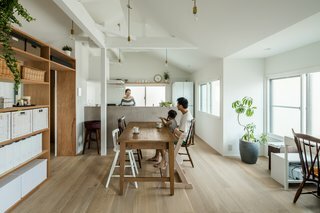 The house has 911 square feet of floor space spread across two levels. 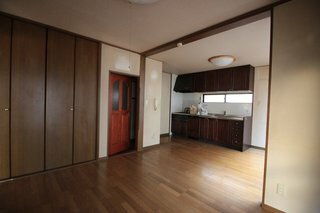 Before: the entrance to the living area on the lower level. 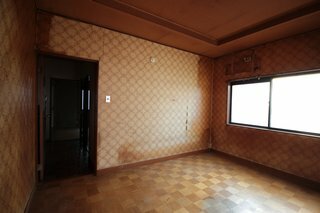 The Suita House renovation totaled ¥18,309,834, or about $164,405.44. 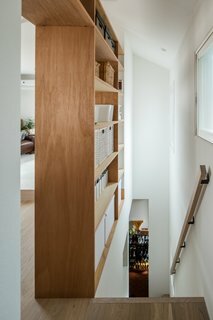 On the second level, part of a structural wall was removed and replaced with built-in plywood shelves to create a permeable partition that encourages visual connectivity between the dining area and the stairs. 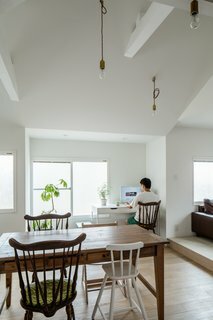 Alts Design Office replaced all the old insulation materials and moved the living room from the first floor to the second floor. Talk about big time. 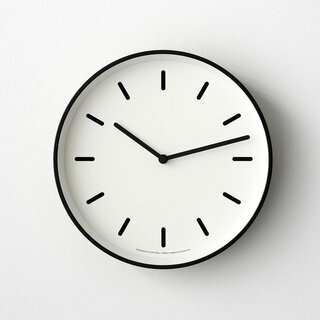 This modern clock grabs attention for its bold modernity and refreshing simplicity, not to mention its notice-me factor. Some compare its design and color contrast to a piano keyboard. Our hardy, handsome woven basket brings beauty and warmth to any space. 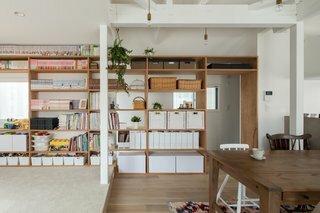 Generously sized for storing everything from laundry and linens to magazines, toys and kindling. 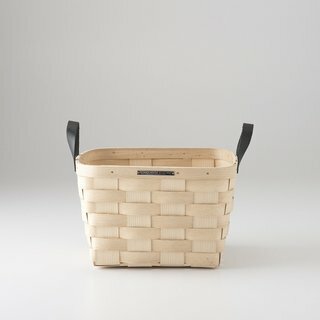 Handmade in the USA from Appalachian White Ash that is harvested in Maine, Vermont and New Hampshire. 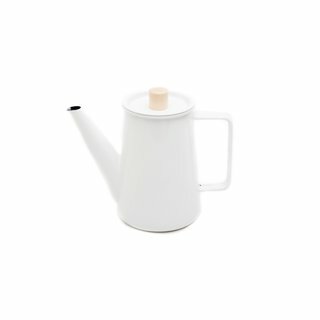 Serve steaming hot coffee with this stylish, durable, and heat-retaining white enamel and natural wood coffee pot from Kaico.﻿ Made by coating iron with glass, enamel has exceptional heat-conducting properties, making it an ideal choice as a material for pots and pans. 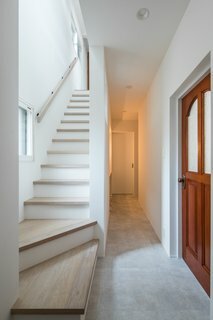 The owners wanted the house to have more windows and brighter interiors, as well as softer, more contemporary aesthetics. 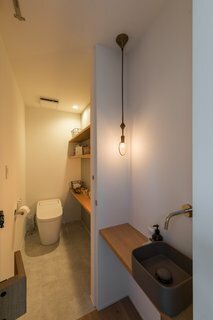 Dark, traditional, Japanese-style furniture were swapped for light, modern Lauan plywood built-in cabinetry that helped open up the living and dining areas. 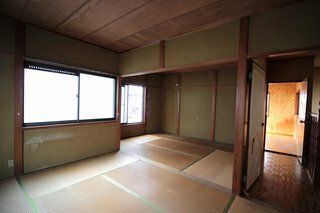 Before: a traditional tatami bedroom. 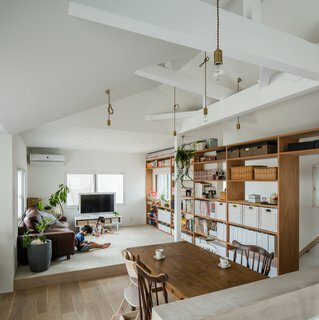 "Originally the living room was on the first floor, but we moved it to the second floor so that this area would enjoy more daylight and wind," says Sumiou Mizumoto, director of Alts Design Office. 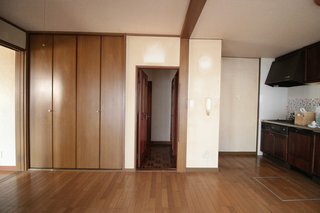 To lighten and brighten the formerly dark and claustrophobic interiors, soft monotones are expressed through the solid oak floors, and wallpapered walls and ceilings. Gray was used as an accent color to give the interiors a cleaner, lighter look. Do you have your own Budget Breakdown to share? 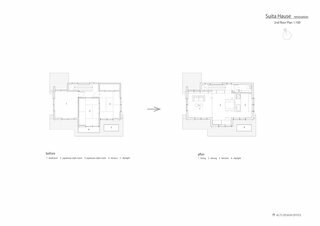 Find out how to submit to Dwell.